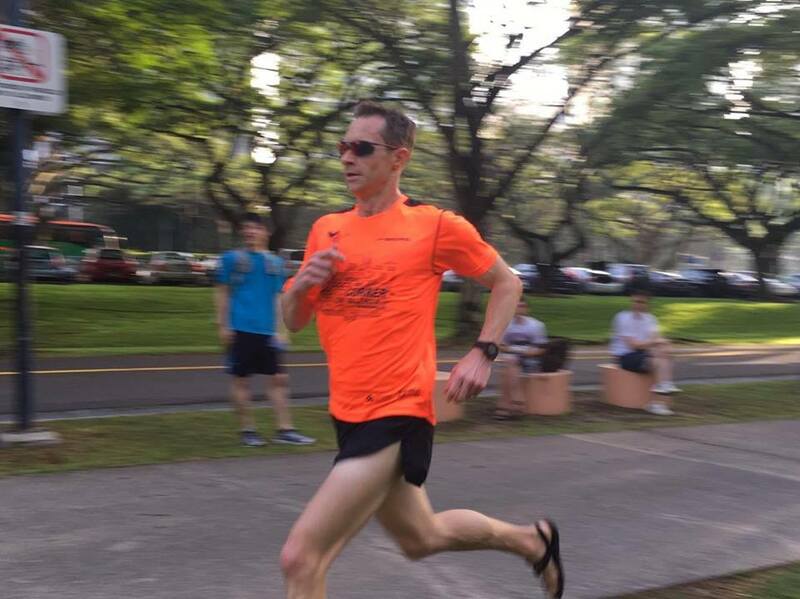 Last week was a tough week for training; I was in Singapore for RedDotRubyConf and a combination of the heat, humidity and jet lag made it tough to get in al the run I'd originally planned. In retrospect I think I was probably a little over optimistic and seriously under-estimated how much of an impact the humidity would have. That said, I did get in three quality runs and a parkrun - I couldn't miss the only parkrun in Asia when it was right there. It also happened to be their second anniversary. 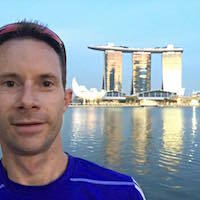 I landed in Singapore on Monday afternoon and got to my hotel just after 5pm so I donned my running gear and hit the road for a gentle tourist run, ie lots of photo stops including a selfie with a landmark, around the marina. This is a great route with plenty other people running too. This run gave me an idea of what to expect for the rest of the week. I attempted to keep my HR within my MAF range but after struggling for 40mins gave up and resorted to running easy by feel. I'm pretty sure the shock of the humidity and the tiredness from the flight are to blame. The next morning I was up early for my planned session of about 16k with 6k at threshold pace. The warm-up went well - there's no way it couldn't, I was warm the moment I walked out the hotel :stuck_out_tongue_winking_eye: - and after about 8k I picked up my pace. Oh my word this was tough. I couldn't even get up to threshold pace so instead stuck to as fast as I could go, and even then I only managed to hold that for a few minutes. Once again, humidity and tiredness were to blame. I missed Wednesday as my body finally "circame" to sleep and I overslept and was only woken by my colleagues pinging me in Slack whilst they were planning breakfast etc. I skipped Thursday and Friday due to the conference. I had originally planned on getting in an early run, but once again I relented to sleep instead. Saturday was parkrun day, and as I said before, there's no way I was going to miss this one. 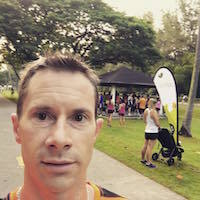 I had a work thing at 9am which would normally clash with parkrun, but not in Singapore. They start at 7:30am. The parkrun was great. A very flat fast course along the beach front in East Coast Park path. I didn't know what to expect or how my body would handle the heat and humidity, even at 7:30am, so I decided to just go for it and see how long I'd last. Well, it appears I can run pretty well in the heat and humidity. I started off way faster than I have done in a long time and held a pretty constant pace to the turnaround point. The return leg was back into a very warm head wind which seemed to really sap the energy from me, though not too much as whilst the last two k's were slower, they weren't significantly so. I finished strong, in third place, and with my fastest time of the year: 17:22. Pretty chuffed and really surprised. I guess I can probably blame not doing much running this week for the fast parkrun time. I had plenty time to spare on Sunday morning, so I headed out for a moderately long tourist run up along the Southern Ridges and back down along Alexandra canal. The Southern Ridges is a spectacular route and definitely worth running. It's quite undulating and a little hard to follow if you don't pay attention to the signs or have a phone to show you your way, but incredibly beautiful. It's also pretty cool to run along the tree-top walkways. The return part along the Alexandra canal isn't much to rave about, but I thought I'd come back that route to extend my run and see what that area had to offer. By the time I got back to my hotel, I was soaked through in sweat. My shirt and shorts were dripping with sweat. I happened to weigh myself the night before and came in at 73.8kg. After my run I was down to 69.9kg. I know all of this weight loss can't be attributed to sweat but I'm pretty certain most of it was. All in, a great week in Singapore without as much running as I'd planned. If you ever get the chance to go to Singapore, don't miss it, and take your Luna sandals 😉.